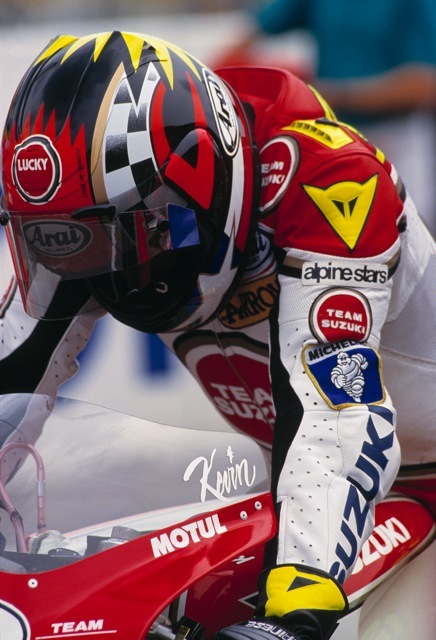 Nearly 20,000 people visited the Festival of 1000 Bikes in 2011 and the organisers are promising it will be even better for 2012 with GP legend and former World Champion Kevin Schwantz confirmed for the event on July 6th – 8th. Schwantz first rode a 500cc two-stroke at Mallory Park in 1986 and it kick started a fantastic and exciting career. Other names included on the list already include Carl Fogarty, Randy Mamola, Mick Grant and Stan Woods, Neil Hodgson, Paul Smart and many more. And don’t forget the autojumble, trials, grass track, sprint, avenue of clubs, trade stands, real ale bar and entertainment. A whopping 1349 bikes are booked to go on track over the weekend, each of them with a story to tell and a rider happy to talk to the knowledgeable crowd. Mallory Park General Manager John Ward said: “Kevin Schwantz may be the headline but there will be nearly 1350 other riders taking to track on some of the most exotic and valuable bikes from yesteryear. John Cooper and Alan Carter are just two more of the names that will be visiting Mallory Park for the biggest event of the year at the circuit. The Festival of 1000 Bikes is back at Mallory Park and all the biggest names in motorcycle racing from the last decades will be there, along with some of the best kept classic racers and bikes you’ll find anywhere in the world – all on display and with an open paddock for spectators to walk around. Trade stalls, evening entertainment, a bar, camping and hopefully some excellent July weather will make this a weekend to remember. Friday starts at 1800 with beer marquee and entertainment and costs £5 on the gate to enter. Saturday costs £16 on the gate, while Sunday costs £20 on the gate. A weekend ticket costs £36 on the gate and permits entry on all three days. Camping from 6th-8th July is £25 per unit with a maximum of four people; additional people are £6 each. For more information visit www.mallorypark.co.uk or call on 01455 842931. Mallory Park, the Friendly Circuit, is situated in the heart of the midlands in Leicestershire just off the A47 between Leicester and Hinckley and easily accessible from the M1, M69 or M6. For further directions, please visit www.mallorypark.co.uk.